That lovely ‘panic counter’ has appeared on my sidebar – cuz Lord knows I need the reminder. The hi-light of my Saturday was getting a haircut – with a new stylist. I think I’ve mentioned that I have curly hair. I’ve only recently (over the past year or so) become comfortable with my hair in its ‘natural state’ but I had yet to get a haircut that was made for curly hair. A friend of mine also has curls and she mentioned that her stylist has a certain method of cutting curlies so I decided I had to give it a try. 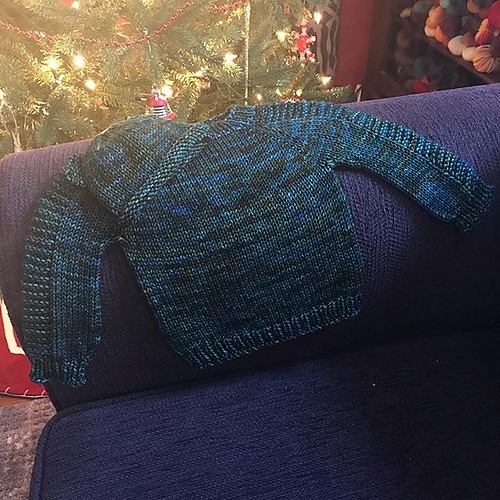 It’s a little flattened from sitting on the couch but I think her cutting method released more of the curl – which, in the right hands (namely mine) can look pretty good! 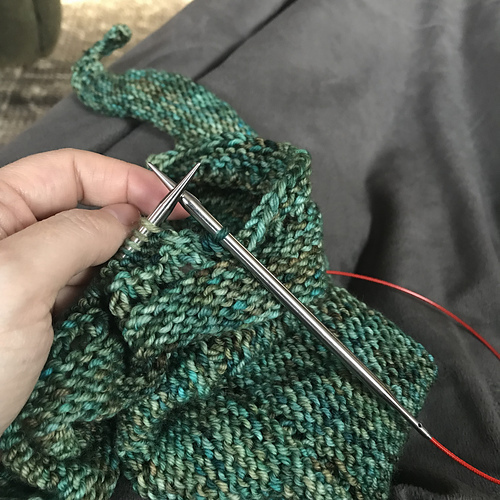 That’s it for now – I’m up to the armholes on the sweater and was contemplating steeking to save time but I think I’m going to do knit/purl just to give my wrists a break. They’re pretty sore at this point.